The Acolyte program offers teens a chance to take on a leadership role each week. This level of service teaches our youth about God’s love for us through serving Him. 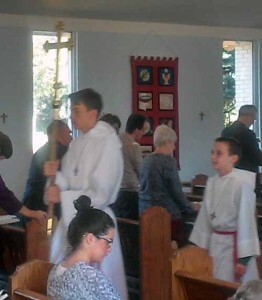 Acolytes are responsible for assisting the rector during the worship service and serve during the 11:00AM service. Children and teens who wish to serve in this important ministry may contact the church office for more information. The Altar Guild has many duties, all of which center around preparation of the sanctuary for the worship of Christ. 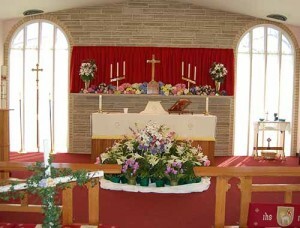 Members set the altar for worship; supply and maintain the linens, vessels, and vestments; clean the sanctuary wood three times per year; and prepare the flowers that adorn the altar. 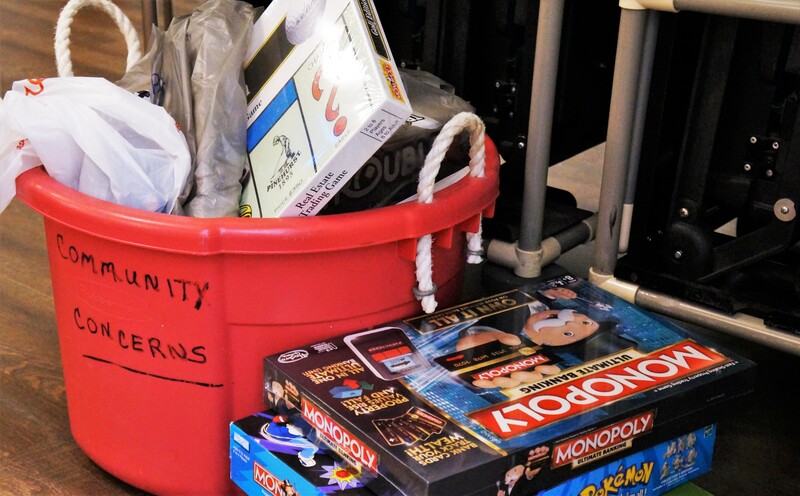 For these items, we solely depend on donations from members of the parish in the form of thanksgivings, memorials, and special gifts. The Altar Guild is always open to new members, and we encourage any member of the congregation (men, women, or teen) to join us in this quiet ministry. Please contact the director or the church office for more information. We always welcome and appreciate new members. Our weekly altar flowers, while arranged by an Altar Guild member, are solely funded through donations from the congregation. 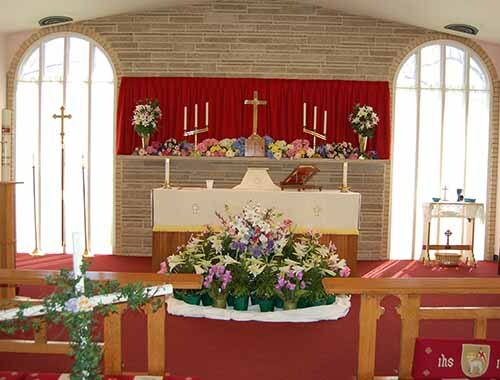 If you would like to donate flowers for any reason, please contact the church office. 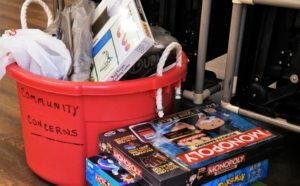 The Community Concerns Committee guides the parishioners in our support of charitable organizations. They meet two to three times a year to organize and plan events. Those interested in participating with planning events, or if you have an organization you’d like to see the church support, please contact the church office for more information. St. Luke’s Lay ministers are an integral part of weekly worship. The Lectors are responsible for reading both the Old Testament and New Testament readings. The Eucharistic Ministers assist the rector in preparing the sacraments for weekly communion and in addition perform various lay services such as morning prayer. Anyone who wishes to serve in this important ministry may contact the church office for more information. Click here to find the readings for all services. 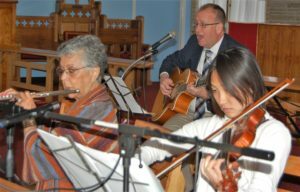 The Praise Ensemble is St. Luke’s contemporary Christian band consisting of parishioners of various musical skills. Teens and adults make up this band that leads our 11:00AM contemporary service. Many of the songs covered include recognizable contemporary Christian hits as heard on 99.1 Joy FM radio, as well as traditional hymns. Members meet once during the week, as well as prior to service for rehearsal. All who are musically interested are invited to participate in the Praise Ensemble and may contact the office for more information. St. Luke’s Usher ministry is critical in creating a positive first impression and service experience. Ushers are responsible for greeting people as they enter the sanctuary, handing out service bulletins, taking up the offering collections, making sure communion goes smoothly, and also making sure the sanctuary is picked up for the next service. Anyone who wishes to serve in this important ministry may contact the church office for more information. Are you an usher? View the schedule to see when you’re on Usher duty.